A whole new generation of gamers will finally get to play Day of the Tentacle, one of the greatest adventure games ever created, thanks to a newly-announced remaster from Double Fine. 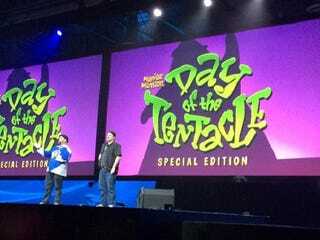 Day of the Tentacle: Special Edition will be out for PS4, Vita, PC, and Linux. No release date yet.